The Shimano Hollowtech II Pinch Bolt is a replacement crankarm pinch bolt for select Shimano Hollowtech II (outboard bearing) cranksets. It will work on both road and mountain style cranksets by Shimano. While it might be rare that you lose or break your pinch bolt, Shimano has got you covered with replacement parts. When you lose a bolt or strip a head this is the exact replacement. Works as intended and Jenson had the best price I could find. Ordered extra because of how cheap they were! Exact match for stripped bolts. I had to get a replacement bolt after the stock bolt broke when reinstalling after maintenance. he new one is holding up fine. You'll need this if your Hollow-Tech pinch bolts become even a little rounded. If these bolts aren't tight enough your crank arm will come off on the trail. New bolts let you easily torque to the proper spec, and these are offered at a good price. The pinch bolts are easily stripped. Accordingly, I ordered a couple of extra bolts as these are necessary for fastening the crank to the integrated spindle. It is a good idea to make certain, when tightening to the correct torque that the hex wrench is properly seated. I appreciate that Jensen has this product available. These are particularly easy to strip so I've replaced a few of them. At least the price isn't horrendous. Replacement for a stripped bolt on a set of XT mtb cranks. Works just fine. It's a bolt, and it screws in to your cranks and keeps them on. Does all a bolt should do. When you change your crank from bike to bike, eventually you will need to replace these - best place to get them was here, threw them in with a few other items - Thanks! 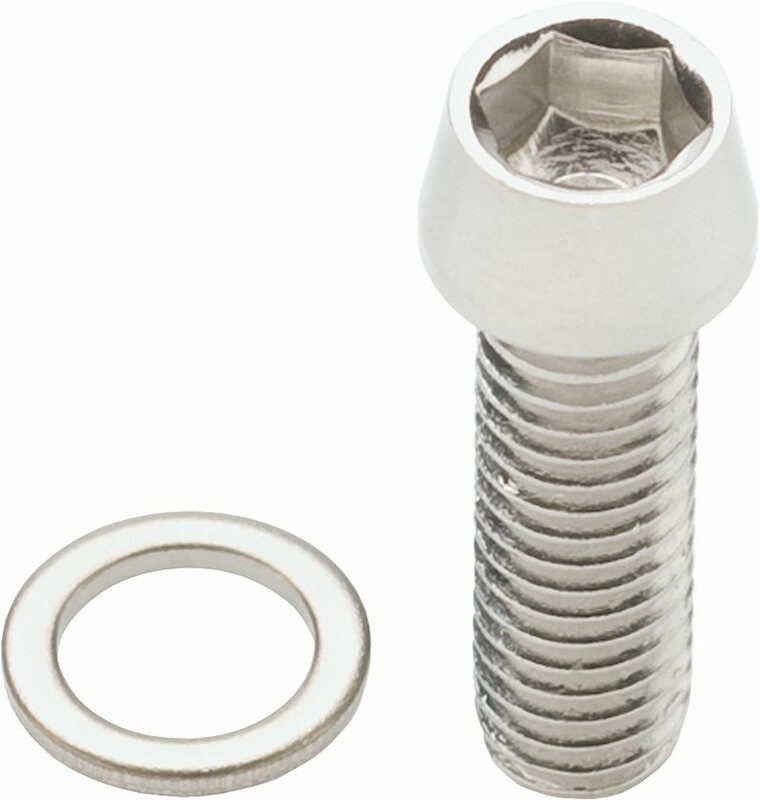 Stock up on these easily stripped bolts. Those Hollowtech II pinch bolts strip very easily in the hex socket. I should have stocked up because one of my new ones is already starting to strip - so, be very carful to make sure that your allen driver is fully seated before torquing. Does this fit dura ace 9100 cranks? Is this bolt the right length for Ultegra 6800 cranksets? Yes, these are the same for 66-6800 Hollowtech crank arms--I have all 3 & switch a Stages power meter arm between them.